Apex i Series Mobile Receipt PrinteApex i series printers are ideal printing companions for your Apple iPhone®, iPad® and iPod® touch mobile devices running iOS. Affordable and economical, Apex printers give you the features you really need for 50.8 mm (2 in), 76.2 mm (3 in) and 101.6 mm (4 in) portable receipt printing without sacrificing quality or performance. Comfortable enough to wear all day, the PB2 and PB3 commercial receipt printers are just the ticket for delivering cost-effective receipt printing wherever and whenever needed. Long-lasting, field replaceable batteries and easy compatibility with Honeywell CN3, 700 and CK3 handhelds makes them ideal for DSD/route accounting, field service and retail queue busting. The Honeywell 6822 printer creates high-quality customer receipts, invoices, load reports and other route accounting documents. Optional Bluetooth holders for Honeywell CN3, CK61 or 700 Series handhelds enable wireless printing. Designed specifically to complement Honeywell CN3, CN3e and CK61 handheld computers in DSD, field service and route accounting applications, the PW50 4-inch receipt printer delivers an integrated solution in a convenient, workboard format. Designed for retail and manufacturing, the LP3™ direct thermal printer beef The LP3 printer accommodates a wide variety of labels and paper, including the heavy stock necessary for hang tags and specialty label needs. For optimum print quality and printer performance, use certified Honeywell media supplies. 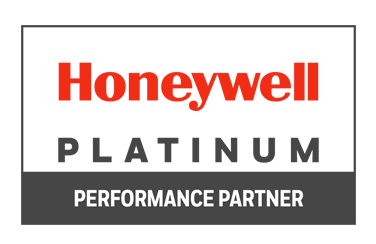 They’re part of Honeywell’s complete workflow solutions for your business.s up media capacity and battery life to help you eliminate downtime and increase workflow efficiencies. And this mobile printer is available with a range of wireless connectivity options to fit your needs. Flexible and compact, the industry’s fastest 3 inch rugged mobile label printer integrates seamlessly with Honeywell mobile computers and software to deliver secure, high performance printing in the most demanding retail and warehouse applications. Robust yet nimble, the industry’s fastest 4 inch rugged mobile label printer integrates seamlessly with Honeywell mobile computers and software to deliver secure, high performance printing in the most demanding retail and warehouse applications. The fastest two-inch receipt printer in its class, the rugged PB21 mobile printer delivers a clear productivity advantage. Built to easily withstand the rigors of the road, the PB21 provides reliable performance your field workforce can depend upon. The fastest three-inch receipt printer in its class, the rugged PB31mobile printer delivers a clear productivity advantage. Built to easily withstand the rigors of the road, the PB31 provides reliable performance your field workforce can depend upon. The PB42, Honeywell's 4-inch wireless portable receipt printer supports prompt payments and eliminates duplicate billing by providing receipts immediately for direct store delivery (DSD), Field Service, and Home Utility customers. Daily route activities are easily entered and tracked via an Honeywell mobile computer that seamlessly interfaces with the PB42. The fastest four-inch receipt printer in its class, the rugged PB51mobile printer delivers a clear productivity advantage. Built to easily withstand the rigors of the road, the PB51 provides reliable performance your field workforce can depend upon.